Bark Avenue Market and Bakery was created by Tammy & John Doak as a result of their passion for animals and holistic health. It was inspired by the loss of their 2 cats, Brooke and Bomber. Sadly, Brooke and Bomber were 2 of the victims from the 2007 pet food recall, where later it was discovered that many commercial pet foods were laced with melamine, a toxin that killed thousands of household pets. They will always be remembered and continue to be their inspiration for helping spread the word regarding the critical role that well-sourced, whole foods based nutrition plays in the health and well-being of our pets. 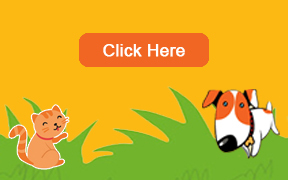 Bark Avenue’s mission is to improve the health, wellness and longevity of dogs and cats. Tammy is currently working on her certification as an animal naturopath where she has studied many topics extensively including carnivore nutrition, understanding the role that vaccines play on our pet’s health, and the importance of living a pesticide free life. Pesticides, like many of the spot-on treatments and oral pesticide pills that pets take on a regular basis have many long-term ill effects on our pets health. We provide ongoing support to our customers through consultations, and by offering the best foods and supplements available. We specialize in natural and complementary remedies and therapies for many common problems such as itchy dogs and cats, separation anxiety and age related aches and pains, including nutritional, herbal, homeopathy, and flower essences. Knowing that nutrition provides the foundation of good health, we carry premium quality foods, specializing in raw foods, bones and treats. 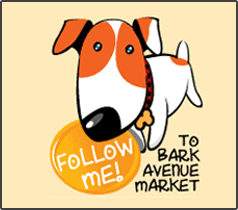 Bark Avenue also offers a beautiful and unique selection of locally made collars and leashes, beds, and toys. We have been serving the community with our knowledge and experience in pet health and nutrition since 2010. We, like our customers, love our animals and understand first hand the deep connection between pets and people. Through the years, we have added many staff members who also share in our philosophy of raising and keeping vital animals by following the principals of nature’s laws. Our staff members include Allex, Jackie, Lisa, Anita, Lauren, Kiana and Debbie. All come from varied backgrounds, but all share the love of animals and are committed to the natural path. Quality service and a knowledgeable staff is Bark Avenue Market and Bakery’s commitment to our customers and community. Come visit us soon!&nbsp; We cannot wait to meet you and your pets!